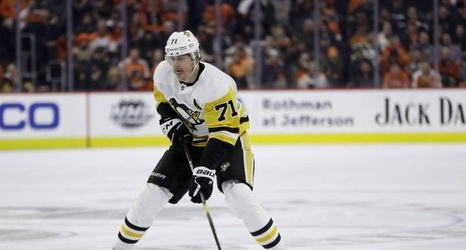 The Pittsburgh Penguins defeated the Philadelphia Flyers 4-1 in Monday's Metropolitan Division showdown, but the result took a backseat to the ejection of Evgeni Malkin. Mike Brehm of USA Today noted the Penguins center received a match penalty and was ejected in the third period after he swung his stick at Flyers forward Michael Raffl. Raffl initiated the back-and-forth with a cross-check and a punch to Malkin's head, but the Penguins playmaker escalated things. NHL Player Safety announced Malkin will have a Tuesday hearing regarding his high-sticking and slashing Raffl.